A daily resource to help you find insight and inspiration. 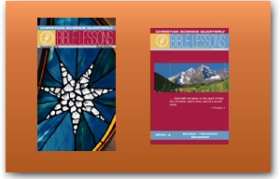 There are 26 bible lesson subjects. These lessons can be studied during the week. 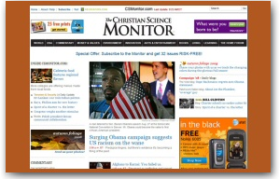 The citations from the Bible and Science and Health make up the Sunday sermon in every Christian Science church world-wide. An inspiring resource for anyone who wants to know more about the practice of spiritual healing. 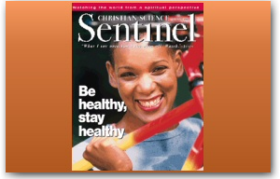 In-depth articles, features, editorials, interviews, and reports of healing provide readers with valuable encouragement and examples of how Christian healing is practiced all over the world. 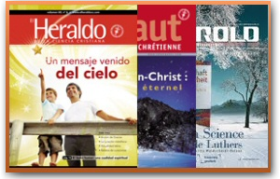 The Herald of Christian Science is published in 13 languages, giving readers around the world practical examples of the availability and utility of the laws of God. 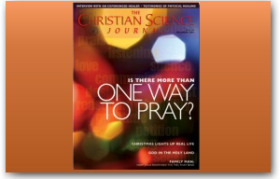 Along with articles and testimonies of healing, each issue includes a directory of Christian Science churches, practitioner, and other listings applicable to each language. How are men, women and children around the world using the ideas in Science and Health to overcome illness, stress, addiction, and more? How is humanity finding a spiritual perspective on healthcare, the sciences, and society? Find out each week in this engaging magazine. 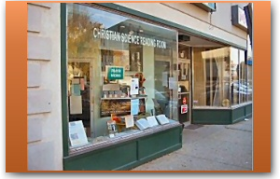 Christian Science Reading Rooms are public bookstores where you may explore the Bible and the writings of Mary Baker Eddy, read the current Lesson-Sermon, and borrow or purchase publications. Reading Rooms are resources for personal growth, health, and spiritual discovery.